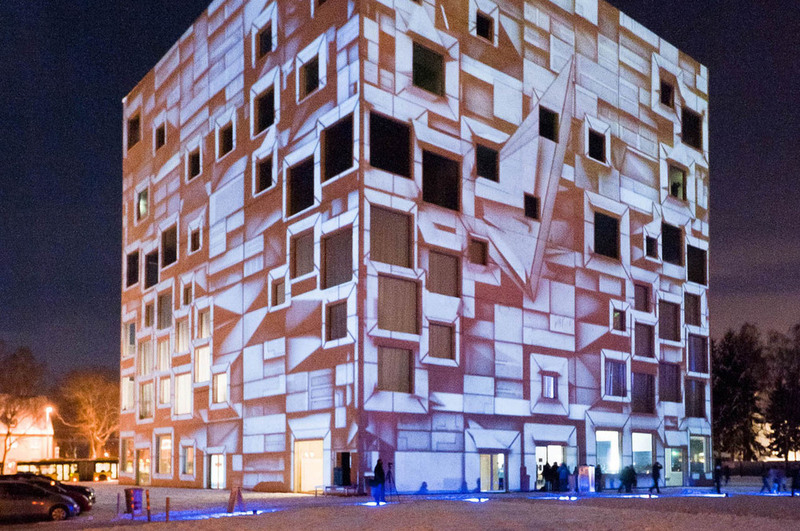 For the closing ceremony of the cultural capital year / Ruhr2010 in Essen I developed a projection mapping that spans across all four sides of the SANAA cube. 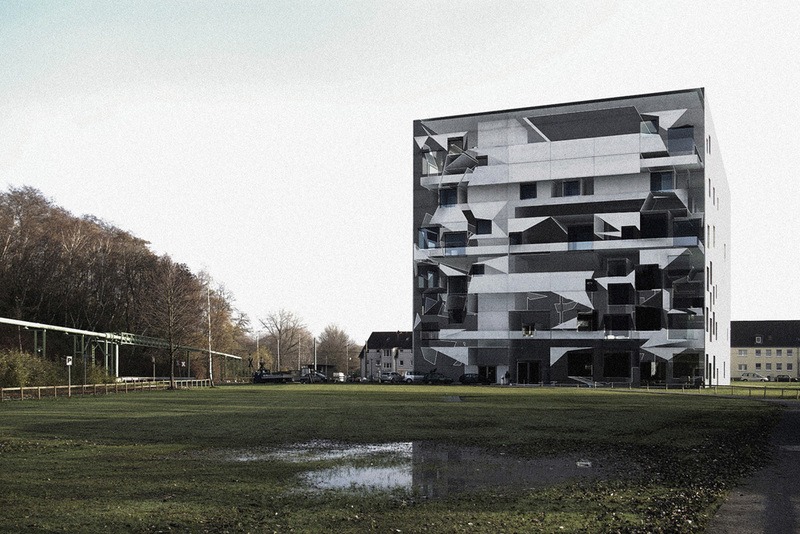 The idea was to use the existing architecture in 3D and transform its natural grid. Playing with the modification of the original geometry, deconstruct, transform, reduce its resolution... 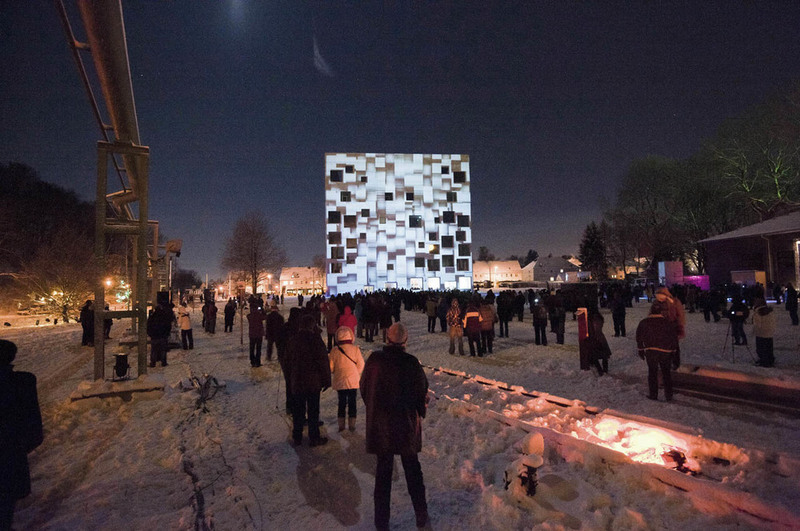 The final architectural mapping had to be prepared as one continuous animation that maps across all four sides of the building.